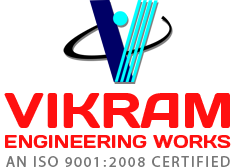 Established in the year 1982, Vikram Engineering Works is a renowned Supplier of different types of Industrial Equipment. We are headed by the CEO Mr. Rajendra Singh who with his 40 years of experience and profound knowledge has played a vital role in converting us as a market giant. The company is located at Mathura, Utter Pradesh, India. We have a vast network which is knitted around various parts of the world to keep us properly connected to the vendors as well clients. It helps us to carry out all the transactions in a hassle free manner and within the given timelines. We have a spacious warehouse which is maintained at the regular time intervals to assure complete security to the products. We have divided our warehouse into several sections so that the products can be obtained easily without the wastage of any time.